Sri Lanka’s Outward Bound Trust was issued a ‘Certificate of Endorsement’ by Outward Bound International (OBI), on meeting the Licensing Requirements of Outward Bound International, valid until December 2020, at the recently concluded OBI World Conference, held at Muscat, in the Sultanate of Oman, from 14 to 17 January. This follows the bi annual, International Safety review conducted by Safety Auditors sent by Outward Bound International to Sri Lanka, to review Outward Bound Sri Lanka’s safety processes and procedures. The Outward Bound Trust of Sri Lanka [OBTSL], foundedin 1988, is the only licensed and legally authorised provider of Outward Bound training programs in Sri Lanka. The Sri Lanka Business Development Center (SLBDC) [founded in 1984], a private-public partnership, provides technical support to the OBTSL for conducting training programs. 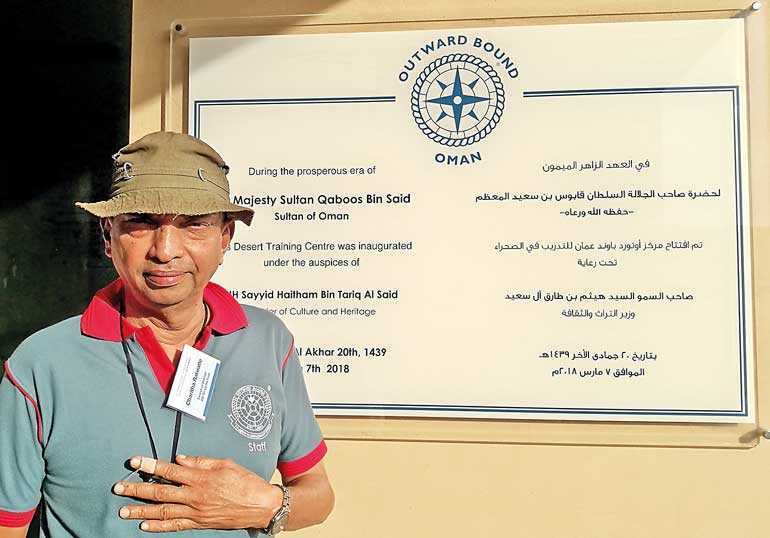 Member of the Board of Directors of the Outward Bound Trust – Sri Lanka, Charitha Ratwatte, represented the Outward Bound Trust at the Oman Conference, on the invitation of Sayyid Faisal Bin Turki Al Said, Patron of Outward Bound, and Oman.